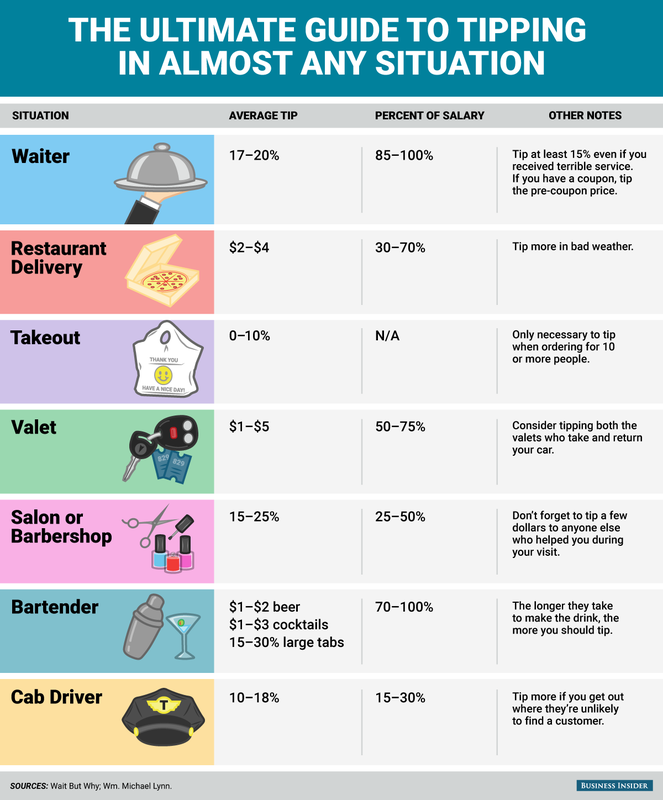 Ever wondered why some of the oddballs out there just don’t tip, no matter how much lemonade and extra soda crackers you bring them? Have you been the oddball? If yes, then read this. There is always this one motto of total judgment: “They know. They just don’t want to,” going on among hospitality people, which is true to a certain extent and which I am guilty of preaching about too. Some/A lot of people are also plain dumb or really actually don’t know. How about culture block? How does a European view you while you rant about their carefully counted, lemon-juice-polished five pennies? How does the Chinese family think when you rant to your server friend that “they” didn’t tip you or not enough, damnit? So I compiled a list of countries across the world and how tipping works there. The United States of America: Tip. Now. more is normal as a tip in New York City. More or less is dependent on the service and the guest. There are some restaurants now that do charge mandatory tips, but you are often warned before entering the lair before this happens. The problem? Some states see tipping as part of the minimum wage law of $7.25 an hour, so they will set the wage as low as $2.00 an hour. Some people from out-of-country are unaware that tipping makes or breaks your server/bartender. Think about this next time you let your pet pee in the server’s shoes just because you can. For more, go here. How do our continental counterparts tip? A couple of days ago while trying to ram my car in an open spot in the left turning lane, I saw a sticker on someone’s car (with Florida license plate) that said this: “Heaven is when 10,000 Canadians go back north and have a New Yorker under each arm.” Before anyone gets angry, this is of course a generalization, like most judgments made in life. Canadians, you do tip, or according to your country laws, you should. In Canada the tipping law is like in the U.S. Some cities share “alternate minimum wage” and some servers share their tips in something called “tipping out”. This is similar to the dreaded practice of “tipping out” as found in some specimen in the U.S. who do it willingly to hosts and bartenders. So yes, people tip in Canada. Mexicans also tip, but rather in higher end establishments, and no less than 10% and no more than 15%. You can tip more if you liked them, their service, or swinging around real Margaritas. Average tip in Mexico is about 11% after value added tax. Service charge is included. A 5% extra tip is appreciated. Service charge is included and tipping is rare. It depends on the island you swim to. In the Dominican Republic, they add a 10% gratuity and it is custom to add another 10%. Watch out, I’m coming!